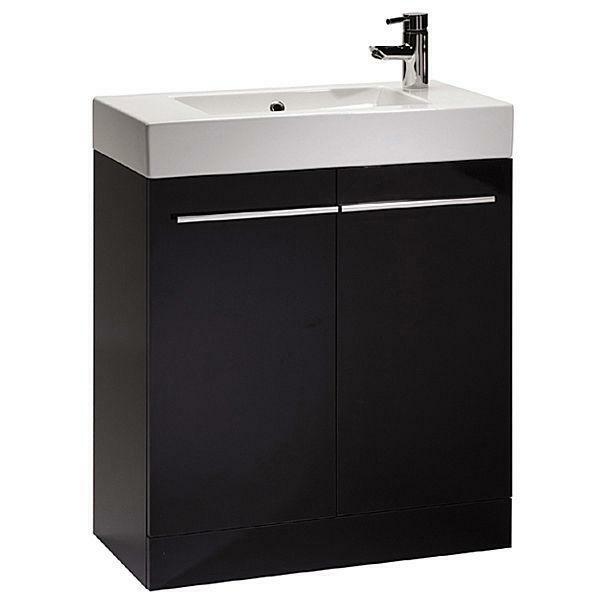 From the Kobe range comes this beautifully crafted Floorstanding Unit with Basin. The sleek design of both basin and vanity make this an ideal choice for today's modern bathrooms. With soft-close doors you can be assured of a most peaceful and luxurious experience everyday in your bathroom. The premium quality ceramic basin is finished in bright white, which creates a dramatic contrast with the jet black unit. Soft close doors are fitted with soft close dampers which are built into the hinges to give a controlled and quiet closure.